Trikonasana using the dowel to extend the side waist. 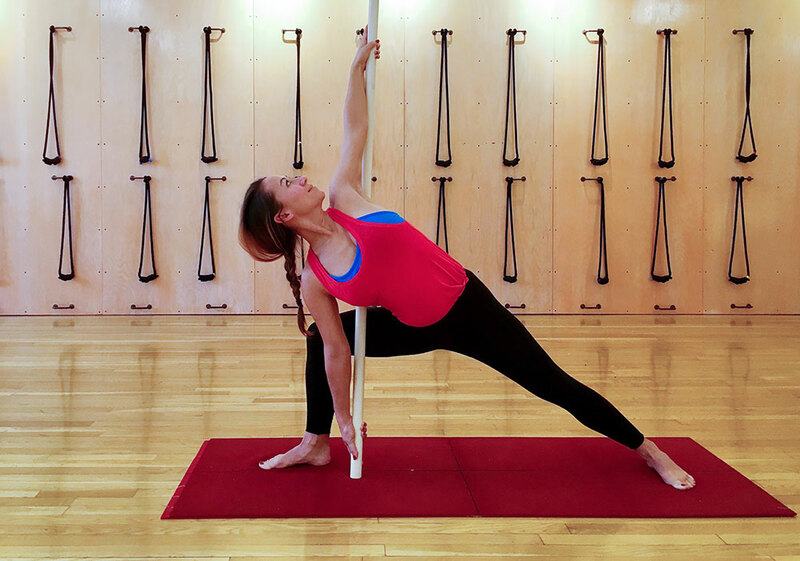 Dowels are a fun and informative tool to help increase your awareness of a pose and help with alignment. They can act as an extension of a limb, aid in proprioception, create space in the joints, support various parts of the body and be used to massage tight muscles. Parsvakonasana using the dowel as a proprioceptive tool informing the back body of rotation and alignment.